I was interested in the Fair Work Commission deciding to reduce some weekend rates. Obviously they gave this a lot of thought as did the Productivity Commission. According to Justice Ross evidence from business owners demonstrated that the present level of Sunday rates had led them to restrict trading hours, reduce staff levels and restrict the services provided. Sounds like our old friend “Jobson Growth” has surfaced again. Missed him since the last election. Before coming back to the question of evidence, let me digress for a moment . I am a project manager. A project, in its simplest form, is a change that generates a measurable benefit. Projects should set measurable benefits before they are approved, and measure them when they are delivered. You know the look a person gets, when they hear a joke but don’t understand the punch line? That sort of blank expression while they try to decide if they missing something, or if they in the presence of an idiot. The blank expression changed to one where she tried to suppress the use of the term “clever derriere” or a derivation thereof. Now as a project manager, I have heard all sorts of things called common sense. Unfortunately, many left out the “non” – Common nonsense. I was getting nods from around the group and our representative was working up a good imitation of the Julie Bishop death stare. A unique situation had occurred. Not unique in the “not very often” sense but unique in the “only ever happens once” sense. The politician was speechless. I felt sorry for her and thought I would give her time to recover her thoughts. A few weeks earlier I had witnessed an accident in our street. You could hear the car coming about 6 blocks back. WRX with P plates. He came over the hill towards us. The driver was immersed in an image of coming down the mountain at Bathurst. Unfortunately, due to a combination of sheet metal and foliage he reduced his speed from somewhere over 100km to zero in a short space of time. The last thing we saw of him was a pair of feet disappearing into an ambulance. Still no response from the local member. Other constituents were becoming more supportive of my logic and muttering positive sounds. Since the concept seemed to have gained traction, I thought I would introduce a related concept. I call it the “Concept of Uniformity”. Her mouth moved. We waited for the wisdom of our elected representative. With that she turned and defiantly walked away. Such clarity and brilliance. Talk to RMS. Why didn’t we think of that! We assembled plebs were awestruck. That was several years ago. You probably want to know what happened. 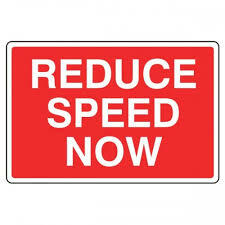 The speed was reduced to 50 kph. Did we reduce accidents? Buggered if I know. The politician fell foul of a political scandal and quit. Her successor has held no more street meeting I am afraid. 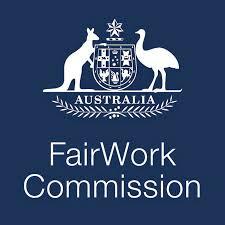 Now back to the Fair Work Commission. If there is evidence of the benefits, why don’t we measure the changes. Surely they have goals. For example they could measure if 50% of business hire 10% more people on Sundays. Shouldn’t be too hard. An independent survey of a few thousand randomly selected business to see how they had changed, and the reason. Should prove if it works or not. If anyone thinks this will happen, I want to share whatever you are smoking. There will be no measure. There will be no goals. Talking about evidence based benefits is nonsense. If they were fair dinkum they would tell us the goals, and how they would be measured. And what about the downside. The costs. Those are measurable too. People will loose money for working Sundays. You can measure that. People will find it not worth working and give up their jobs. That can be measured. Maybe it is harder to measure the impact on kids who don’t have one or both of their parents around on Sunday because they have to work. What of the mental health of people working multiple jobs to pay off a mortgage or just survive? 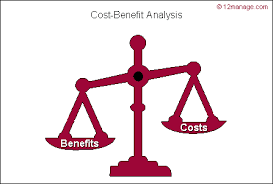 Seemingly intangible benefits can be estimated by economists. For example what difference is there in mental health issues between five day a week workers, and weekend workers? What does it cost the community? How much can be attributed to working weekends. Governments are great at promising things they never measure. Wouldn’t it be great if we held them to account. Most everything can be measured. The only issue is how accurate the measure is. Sometimes you have to build in assumptions but better to take an educated guess, than to ignore it. The government is always willing to believe assumptions from economists when they make fiscal and monetary projections, but very reluctant to set goals for particular policies. Even more reluctant to reverse a policy if it fails to meet it’s goals. Next time you hear a government promote a particular policy, ask three things. What are the goals? How will you measure it? Will you reverse it if it fails? If only we lived in an ideal world.